When Does a Store Owe a Customer a “Duty of Care”? 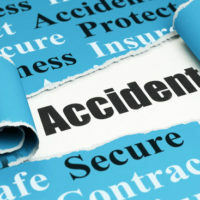 In any kind of personal injury case based on negligence, a plaintiff must first prove the defendant owed him or her a “duty of care.” In the context of a car accident, for example, a driver has a duty of care to operate their vehicle in a safe manner. And with respect to premises liability, a commercial business owes a duty to exercise “reasonable care” in removing or warning against any dangerous conditions that might injure a customer. One thing that a court will look at in determining if a duty to care existed was whether the hazard itself was open and obvious. In other words ,i f you see a giant puddle of water on the floor of the supermarket and walk right into it, you cannot blame the store if you slip and fall. But if the store had prior knowledge of the puddle, and it was not immediately obvious to a customer there was a hazard, then the store’s duty of care comes into play. But even where a hazard is open and obvious, the store may still be at fault depending on the circumstances. A federal judge in Tennessee recently addressed such a case. This is actually an ongoing personal injury lawsuit against the owner of a supermarket. The plaintiff was shopping at the defendant’s store in July 2015. She entered the frozen foods aisle to pick up some frozen chicken. There was a large retail display in the center of the aisle composed of “several 40-by-45-inch wooden pallets and boxes,” according to court records. This left a space of about 3 feet between the display and the glass doors of the freezer cases. After removing a bag of chicken, the plaintiff stepped back to allow the freezer door to close. At this point, “her foot hit part of the center-aisle display” causing her to fall backwards. When she subsequently tried to get up, her foot got caught and was twisted in one of the pallets. The plaintiff sued the store for negligence, alleging the display constituted a hazard. The store moved for summary judgment, arguing “it owed no legal duty to the plaintiff to prevent her from backing into a display” that was “in plain sight.” The judge presiding over the case denied the store’s motion, which allows the plaintiff to present her claims to a jury. The judge said that even where an obvious hazard exists, a duty of care may still exist “to protect shoppers against the risk of harm…where it is reasonably foreseeable that customers will be distracted by the store’s merchandise and fail to notice the condition.” So the fact the plaintiff “noticed the center-aisle display” does not necessarily defeat her personal injury claim, because “she was distracted by merchandise at the moment she fell,” arguably leading her to “forget” the display was behind her and posed a risk. If you are involved in any kind of accident, it is important to speak with a qualified Tennessee personal injury attorney without delay. Negligence claims often involve highly specific factual questions, and it is imperative to begin gathering evidence as soon as possible. Call the offices of Fox & Farley, Attorneys at Law, in Knoxville or Clinton today if you have been injured due to someone else’s negligence.